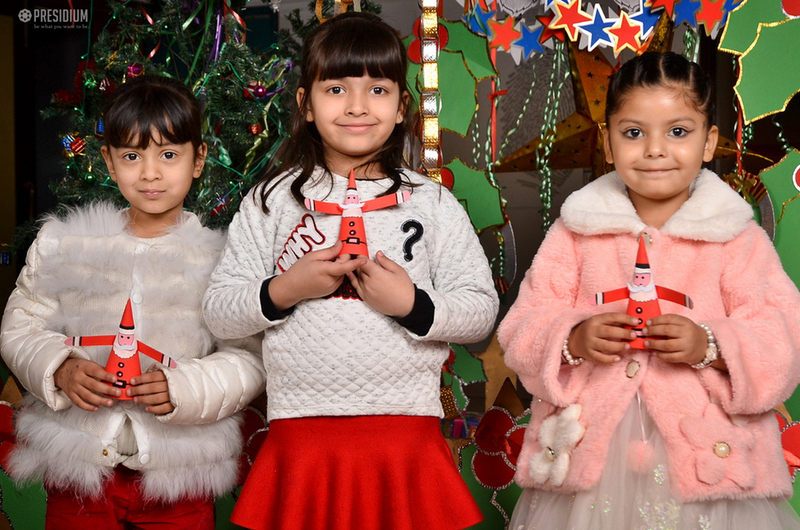 As Christmas is approaching, introducing children of Grades Nursery and Prep to make XMAS tree and Santa Claus through paper folding activity took place recently in Presidium Faridabad. 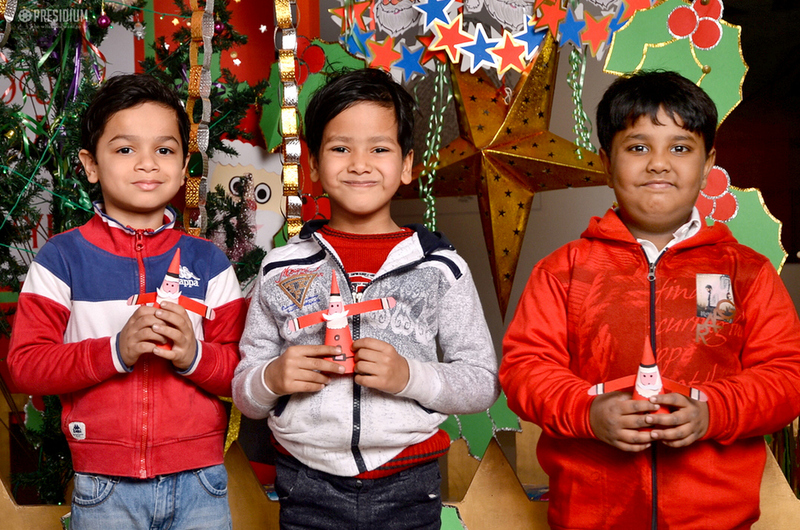 The creative program showed how origami is a fine way to master motor skills and trigger imagination of children. 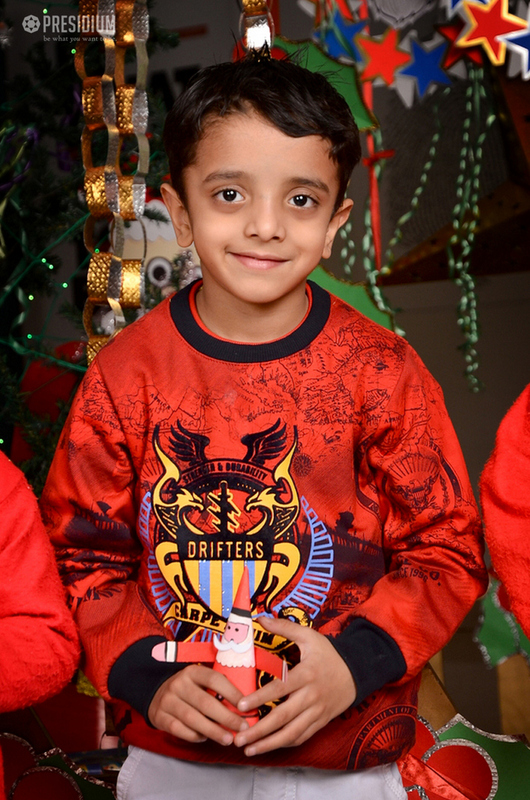 In addition, a spectacular and colorful assembly was conducted. 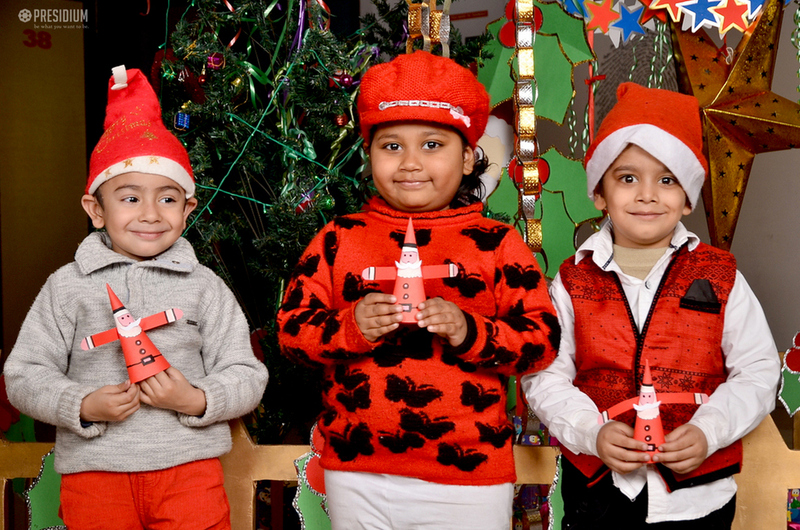 Students of Grade Pre-primary recited poems to show the significance of Christmas. 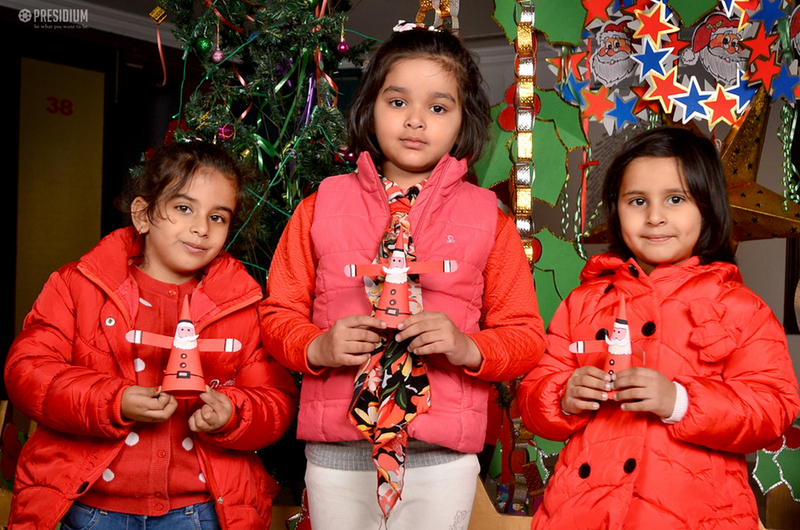 All students came dressed in white and red and spread the feeling of cheer and joy. It was followed by a class party where all shared their food with friends, spreading the Christmas message of sharing and caring.